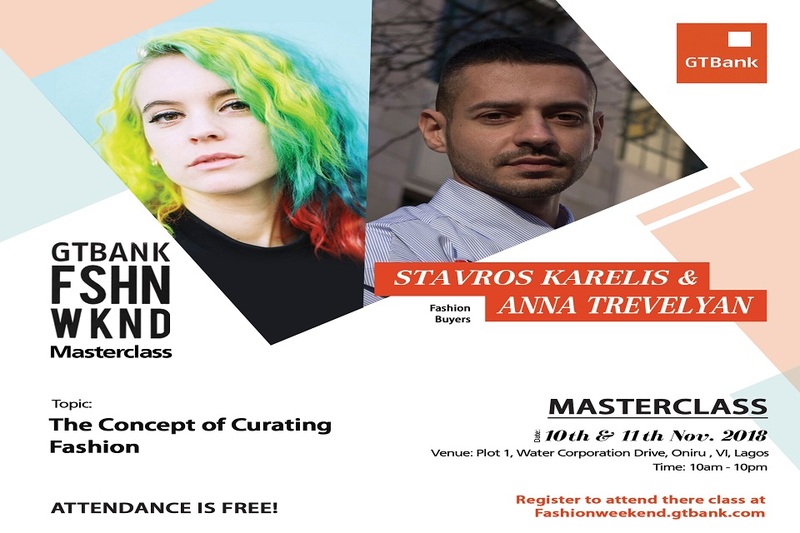 Two fashion icons, Stavros Karelis and Anna Trevelyan have indicated their interest to be at the 2018 edition of the GTBank Fashion Weekend. Stavros Karelis is the founder and buying director of MACHINE-A, a London-based independent concept store for men and women, while Anna Trevelyan is the co-founder and fashion director of MACHINE-A. In 2009, Stavros and Anna opened MACHINE-A, with the aim of showcasing emerging designers alongside established fashion brands. The store quickly became London’s coolest retail destination. While at the GTBank Fashion Weekend, both fashion icons will take a masterclass for fashion enthusiasts on Saturday, November 10, 2018 from 1:00pm to 2:00pm at Plot 1, Water Corporation Drive, Oniru Estate, Victoria Island, Lagos.